Chabad has been at the forefront of rebuilding the Jewish Community after the Holocaust. From sparse headquarters in Brooklyn, New York, The Rebbe, Rabbi Menachem Mendel Schneerson inspired a generation of young couples to go out and spread Yiddeshkeit. With endless love, devotion, and energy, his emissaries rebuilt Judaism throughout the world. From Casablanca to Rio de Janeiro, Chabad has brought a positive, uplifting message to the Jewish people. Since 1983, Lubavitch Chabad has been at the forefront of quality Jewish programming in Skokie, by providing activities to engage Jews of all backgrounds and demographic groups. 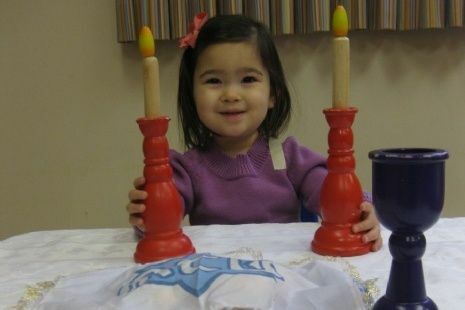 Lubavitch Chabad of Skokie Is truly providing for our people, with our acclaimed camp and preschool for the younger set, the popular Jewish Learning Institute for adults, the JYH and CTeen for adolescents, and a multitude of programs and activities that enrich and inspire Jewish identity and experience. Our constancy is due to the commitment and dedication of the rabbis and rebbetzins, who are here to stay, and have devoted their lives and families to a future of caring for Jewish people right here in Skokie. Planned giving to Lubavitch Chabad of Skokie continues to build Judaism where it is needed most. From pre-school to day camp, visiting the sick or assisting the poor, this is your moment to make a difference. Join with Lubavitch Chabad of Skokie through the loving act of planned giving, by leading your community to a strong and vibrant future. This is your moment.